“The whole time I was living in London – over four years – I never saw a window with the blinds or curtains open, except once. 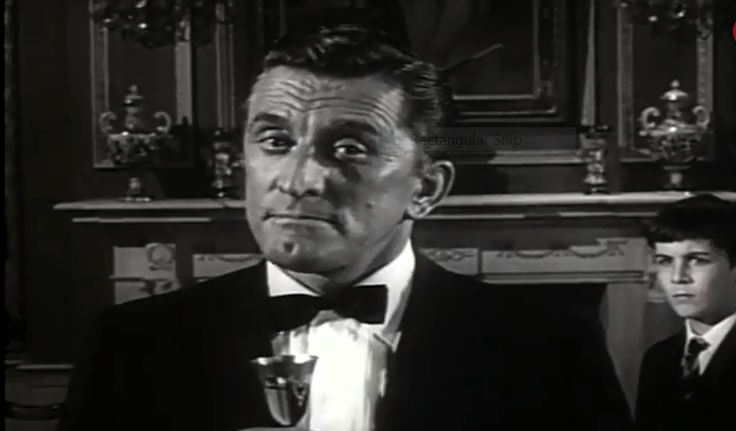 “Anyhow, one night at about three in the morning, I was walking back towards central London with Tony Green, who was dressed as Sir Gideon Vein, when I spotted a window lit up, curtains pulled wide open, on the main floor of a house. I was amazed! Finally I would get to see what went on inside a dwelling in London at night. 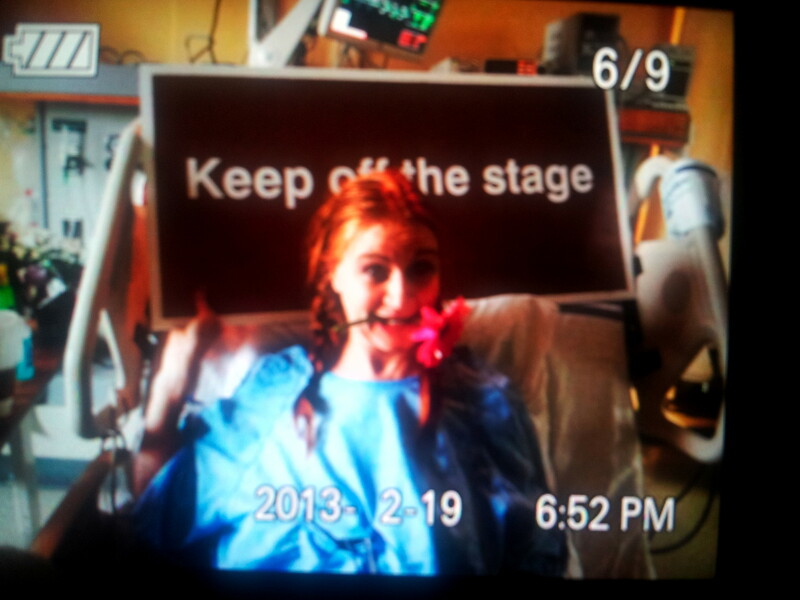 “Tony tried to stop me. No, he begged. Don’t do it. What will the people who live in there think when they look out their window and see a big girl with red hair in plaits standing outside and staring into their sitting room? “But I could not stop myself, so I raced up to the window. Tony gave up. Besides, he had to take a piss. I stood in front of the window staring in, but there were no people at all; it was just a very dull looking sitting room. Tony Green is an interesting figure from – if he can forgive me for saying this or even if he cannot – the early years of British Alternative Comedy. His character Sir Gideon Vein was (and, indeed, occasionally is) a Victorian era throw-back character. Tony has occasionally turned up fleetingly in this blog. About 20 years ago, he took me to the fetish club Torture Garden. He looked like he was dressed as the Peter Davidson incarnation of Doctor Who. But he was not. That was normal attire for him. A few weeks ago, I mentioned him performing as both The Obnoxious Man and The Pompous man at Pull The Other One comedy club. I recently met him at the Soho Theatre bar in London for a cup of tea, but he soon moved us to the upstairs room of a nearby pub. No surprise there. 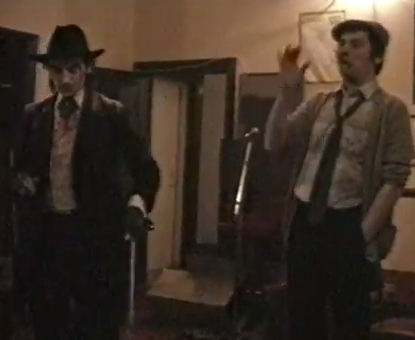 When I switched my iPhone’s recorder on for this blog, Tony was doing an imitation of the late performance artist Ian Hinchliffe’s gruff Yorkshire accent. “That was T’others at The Ship,” said Tony. “You and Malcolm came with his mother. I remember I got into an altercation with Malcolm and she said: Hit him, Malcolm! Hit him! “He told her He don’t mean it, mum. I know him. It’s only a joke! and he said to me You didn’t mean that, what you said? and after that, I got on very well with Malcolm’s mother and I told her Mrs Hardee, you’re very well-spoken. “That’s sort of true,” I said. “Are you a Londoner?” I asked, trying the get the chat onto some course. “Of course I am,” said Tony in mock outrage. “… from the 19th century, perhaps,” I said. Did Kirk sing Londoner in The List of Adrian Messenger? “You taught him an accent?” I asked. “How did you meet him?” I asked. “You just bumped into him?” I asked. “You were one of the few people to put Mr Hinchliffe on,” I said. “Well, did he want to keep the job? But he was quite clever, because we kicked off and, after us, he put on the Mike Westbrook Band and you can’t go wrong with the Mike Westbrook Band. I saw Ian in the dressing room. On this occasion, they had had some particularly good canned beer – one of his favourites – on the train and he had over-indulged. Maybe about 15 pints. Anyway, he fell asleep on stage. His partner – they were both over 60, so you could hardly call her his girlfriend – went Wake up! Wake up! And, after about seven minutes of snoring on stage, he did wake up and he looked at the audience and said: What are you bastards doing in my bedroom? Do Germans have a sense of humour? Hitler is playing the Edinburgh Fringe. 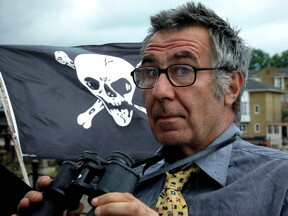 I am organising Malcolm Hardee Week at the Edinburgh Fringe this year, in memory of the late, great godfather of British alternative comedy who drowned in 2005 – all proceeds go to the Mama Biashara charity run by Scotsman critic and Malcolm Hardee Awards judge Kate Copstick. As part of Malcolm Hardee Week, on Friday 26th August, there will be a two-hour variety show to celebrate Malcolm’s memory which will include the announcement of the three annual Malcolm Hardee Comedy Awards. Previous Malcolm Hardee tribute shows have included Jo Brand, Jimmy Carr, Omid Djalili, Janey Godley, Hattie Hayridge, John Hegley, Richard Herring, Jools Holland, Phil Kay, Stewart Lee, Simon Munnery, Phil Nichol, Arthur Smith and Johnny Vegas. We are not announcing who is on this year’s bill until nearer the time but the two comperes for the evening – you read it first here – will be cabaret legend Miss Behave – star of Olivier Award winning show La Clique – and the Third Reich’s favourite crooner Frank Sanazi – he is, according to The Scotsman, one of the “Top 20 Comedians to Catch” at this year’s Edinburgh Fringe. For those who have not experienced Frank Sanazi, he sings like Frank Sinatra but looks like Adolf Hitler. Classic songs on his album Mein Way on a Steinway include Third Reich and Strangers on My Flight (about the 9/11 attacks) – and let’s not even mention The Guy From Al-Quieda (featuring Osama Bing Crosby). You might think one place it could be problematical for Frank Sanazi to play would be Germany, especially as there have long been legal problems impersonating or representing Hitler on stage… well, you tend to get arrested. But Frank played three gigs in Berlin last year. “The locals were a bit shocked at first,” he tells me, “but then I added I know what you’re thinking… This guy looks like Charlie Chaplin and, when they realised it was all parody, they really got into the swing of it. One man even asked if I would consider performing for his company’s annual office party… though he did later phone, embarrassed, to say that his company directors didn’t share his sense of humour. So is he looking forward to the Malcolm Hardee Awards Show at the Edinburgh Fringe? “Heil yes,” he says and waves goodbye to me with a cheerily raised hand. I am worried I am going to get even fatter and ultimately explode like Mr Creosote in Monty Python’s The Meaning of Life. 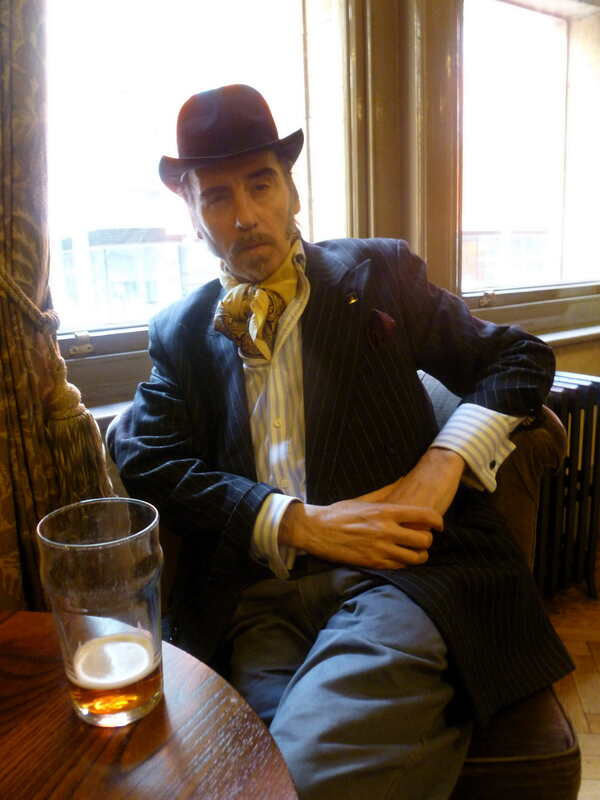 I am also worried, having just re-read this blog entry, that I am turning into a mindless luvvie but without the glitz, glamour, class and cravat. Yesterday I had lunch with Malcolm Hardee documentary director Jody VandenBurg and multi-talented multi-media writer Mark Kelly, who has that very rare thing: a genuinely very original TV idea. He was, at one time the stand-up comic Mr Nasty and he reminded me of one typical early Alternative Comedy incident in which comedy duo The Port Stanley Amateur Dramatic Society got banned from right-on vegetarian cabaret restaurant The Earth Exchange… for throwing ham sandwiches at the audience. This was actually part of their normal act but proved far too non-PC an anarchic step for the militant non-carnivores at the Earth Exchange which was so small I’m surprised they actually had space to move their arms backwards to throw the offensive sandwiches. Mark also remembered having his only serious falling-out with Malcolm Hardee at the Tunnel Palladium comedy club after Malcolm put on stage a female fanny farting act who, at the time, might or might not have been a girlfriend or ex-girlfriend of local Goldsmiths College art student Damien Hirst. Mark felt the audience – and, indeed, Malcolm – might have been laughing at the performer rather than with the act. Knowing Malcolm, I guess it might have been a bit of both. So, anyway I had a very nice ham omelette and banana split with Mark and Jody downstairs at The Stockpot in Old Compton Street, Soho, and then Irish comic/musician/vagabond Andrias de Staic arrived. I know him from his wonderful Edinburgh Fringe shows Around The World on 80 Quid and The Summer I Did the Leaving, but he is currently appearing until 2nd April in the Woody Guthrie musical Woody Sez at the Arts Theatre in London’s West End. I swear that, the last time I met Aindrias – and it was only last year – he was 5ft 9ins tall. He confirmed this height to me. Yesterday he was 6ft 1in tall. For a moment, I believed him. Then I realised it was rubbish. Then I started to wonder if it could be true. Or perhaps I am shrinking. The uncertainty of life can be a constant worry. After that, I went to the weekly Rudy’s Comedy Night gig at Rudy’s Revenge in High Holborn to see Miss D perform an interestingly different routine in which she gave advice on what to do and what not to do when having a heart attack – something she knows about, having had one in June 2009. The gig was also notable because I saw for the first time the extremely funny and talented compere Katerina Vrana… and an extraordinary act by a man claiming to be an archaeologist about having a hawk on his arm. I missed his name. If you know, tell me, because it had the same effect on me as watching Anthony Newley’s Can Heironymus Merkin Ever Forget Mercy Humppe and Find True Happiness? in a Kensington cinema one afternoon etched on my memory in 1969. Perhaps I mean the experience scarred me for life. When the movie finished, I sat there like a stunned halibut and thought What was that??!! and sat through it again to see what on earth I had been watching and whether I liked it. Except, of course, I didn’t have the opportunity to sit still and see this guy perform again last night. He certainly had energy, that’s for sure. As for Can Heironymus Merkin Ever Forget Mercy Humppe and Find True Happiness? – it is highly recommended, provided you know what you are letting yourself in for. It is a bit like North Korea in that respect.